Cost: Adults: $27.00 Children 5 years – 12 years $10.00 No taxes. Book right away to guarantee we will run this event! 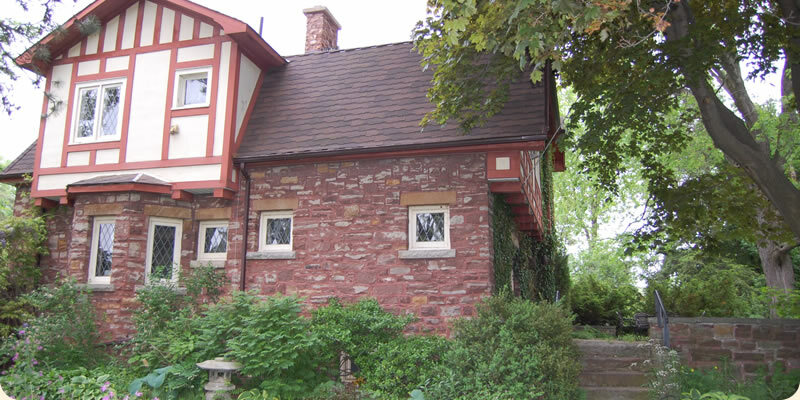 Call Carla Carlson today at 905-562-3746 or email her at [email protected] to reserve your spot on this fabulous tour! A tour for the general public to learn about and see urban Chimney Swifts, a Species at Risk. Chimney Swifts belong to a group of birds known as aerial insectivores which means they harvest their food (insects) while flying. Marcie Jacklin local birder extraordinaire and Carolyn Zanchetta from the Ontario SwiftWatch program, Bird Studies Canada, will jointly lead our tour to the Canada Haircloth Building in St. Catharines, and to a Chimney Swift roost in Fort Erie. We will end our fieldtrip birding for early spring migrants and ducks along historic Erie Beach. We will combine nature and local history for this adventure! Photo Credit: George Peck. Chimney Swifts build small, half saucer shaped nests of loosely woven sticks using their glue-like saliva to secure them to the interior surfaces of chimneys and other similar structures. That is a complete nest in the picture, and the nests can hold up to 5 young! There will be handouts and decals and information about what to do if you have Swifts in your chimney, (bats in your belfry…no, sorry, just kidding, that will be another outing), how to be a good Swift host and identify Swifts. 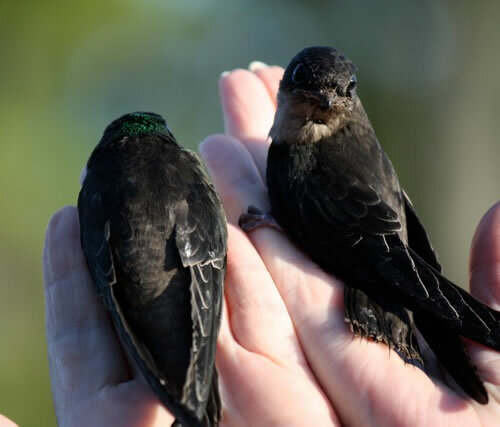 Learn the science behind the Swifts, about chimney habitat and rare tree nesting. We will hear about the SwiftWatch program and how to get involved locally with a monitoring programme where you will be trained. After our tour, everyone is welcome to join us at my favourite restaurant, the Crystal Chandelier. I call it my Gypsy restaurant, whimsical and pretty, with fantastic food. And with wonderful company, us and our birding guides! The idea for this tour started in 2013 at the Department of Visual Arts, Brock University, with a video art project through the Walker Cultural Leader series. Visual Arts Professor Donna Szoke said, “The chimney of the Canada Hair Cloth Building, a former industrial factory, houses a family of chimney swifts spring through autumn, and the building itself will soon house the students and faculty of the Marilyn I. Walker School of Fine and Performing Arts. A Loft is a collaborative video project between Brock University visual arts undergraduate students, international artist Althea Thauberger, from Vancouver and Foregrounds Media in St. Catharines. Photo Credit: Swift Care Ontario. The birds in the photo were admitted to Swift Care Ontario, a rehabilitation centre in Komoka just outside of London, after their nest became dislodged and they tumbled to the bottom of a chimney. They came in as barely feathered babies and were strong and healthy upon release. They weigh only 21-24 gms. when released. 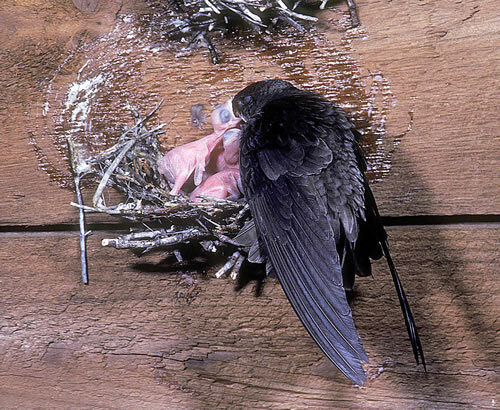 Unlike other birds, Chimney Swifts will die if a rescuer places their fallen nest in a tree. The parents are unable to feed their babies in this setting. Only if the nest can be replaced within the chimney is there a chance of successful re-nesting. This action is almost always possible so if a member of the community discovers a fallen nest of swifts within their chimney, they should contact a licensed wildlife rehabilitator immediately. Also check out Swift Care Ontario for more information.